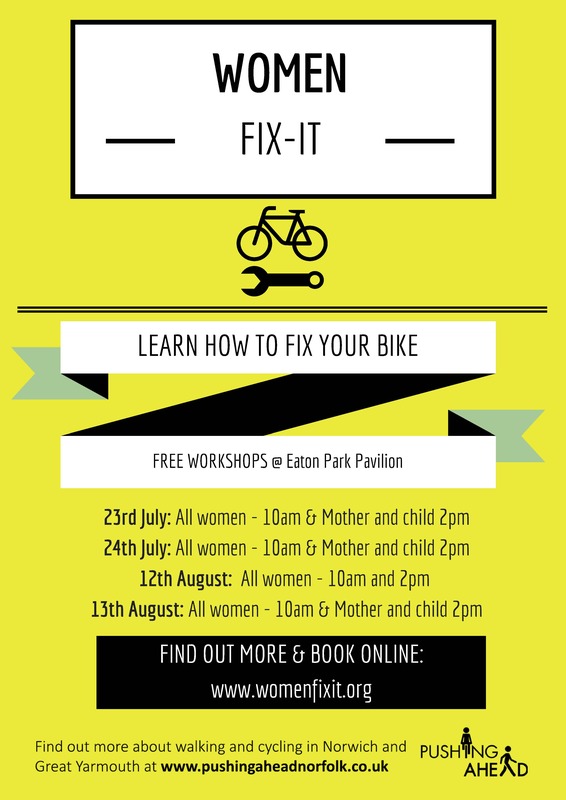 If you live in or around the Norwich area – or even if you’re further afield – then head on down to the Pavilion at Eaton Park this summer for some FREE fix it sessions that Pushing Ahead are providing to help you learn how to fix your bike. If not knowing how to fix your bike if something goes wrong on a ride has ever put you off cycling to work or school, then now’s your chance to fix it! With sessions for women only, and for women and children, these free bike maintenance and repair workshops can help boost your confidence, teach you a new skill, and give you a feeling of empowerment.